One of my daily challenges as a commuter is waiting for a cab. More so, even if I get a cab, chances are they'll either reject you (if your destination is out of their way, which I find ridiculous) or they'll ask for an extra charge (because the roads to your destination is congested, as if that's new here in Metro Manila). That's why when I discovered GrabTaxi, I was more than ecstatic to try it. I have used GrabTaxi at different times (in various locations). 1. Enter your current location and your destination. 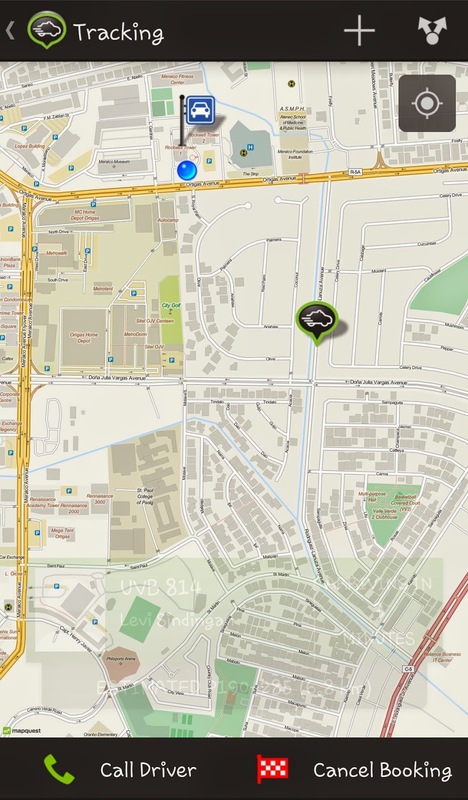 Having a Foursquare account or your GPS activated will help the app find your location. 2. 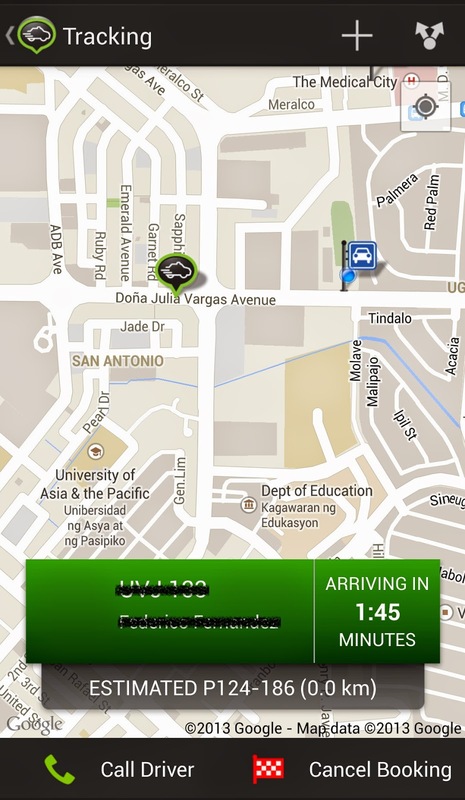 Once GrabTaxi has found you a driver, the taxi's plate number, driver's name and photo will show on the app. 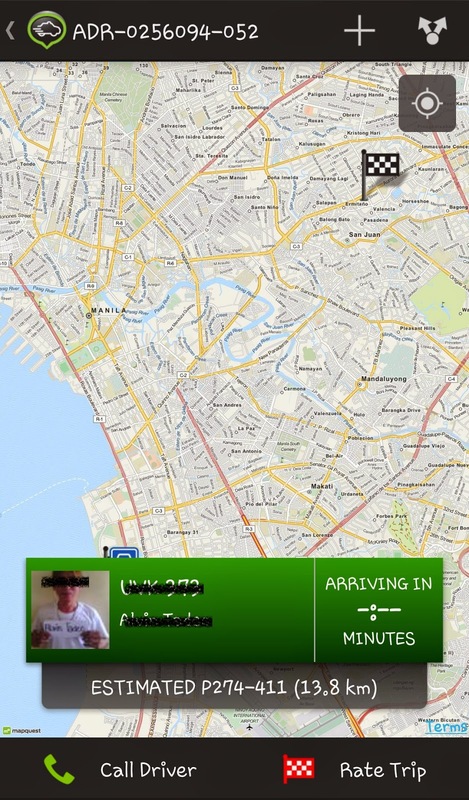 It will also give you an estimated arrival time of your driver to your current location. 3. Just wait for your driver to arrive. If you think he's taking too long, you may call him. GrabTaxi advises its users not to text the drivers for safety reasons. All GrabTaxi drivers are registered, as mentioned to me by one of their drivers. If a GrabTaxi driver did something against the rules, you can report them to GrabTaxi immediately. 3. They have lots of promos! The regular flagdown rate is Php 70 on top of the taxi fare, but GrabTaxi has promos like the Globe promo (flagdown rate became Php 50), Piso flagdown or even ZERO! You just have to check their Facebook Page for updates. I've tried using GrabTaxi during peak hours (around 7pm), but it can't find me a taxi. Not entirely their fault though, but it would be better if it's available all the time, right? 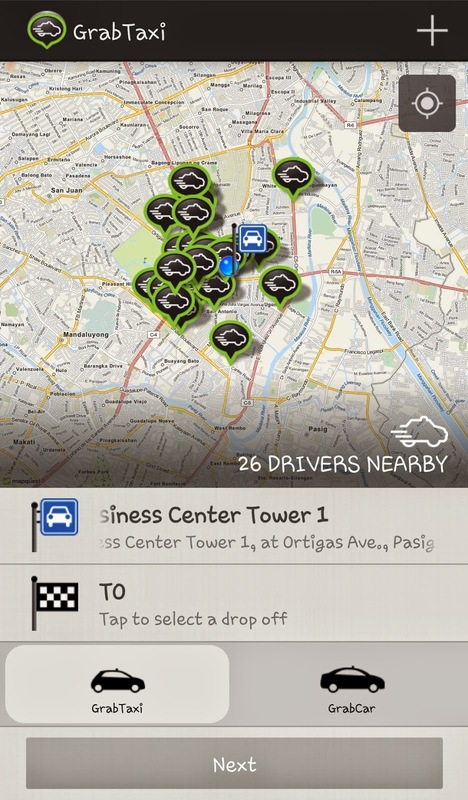 I have yet to use the other taxi app (EasyTaxi), but for now, I'm satisfied with GrabTaxi. Very convenient app and at the very least you're sure that you can trust the taxi you're getting. funny but ever since i downloaded the app, i've never been able to grab a cab. pero yun nga, daming pasahero eh.